My initial reaction to The Princess Bride as kid wasn’t much different from that of the sick kid in the film who thinks his Grandpa is going to tell him a yawner of a story. My younger brother, in elementary school at the time, loved this movie and thought we should watch it as a family after having seen it in class. We were all suspicious, but rented the video anyway, and subsequently found ourselves rolling with laughter. It was the funniest movie we’d ever seen, and I immediately decided that Westley was the man for me (funny, handsome sword fighters with immunities to Iocane powder are sadly in short supply). Since then, my family has watched The Princess Bride countless times over the years, memorizing the fantastically quotable dialogue and still coming away amazed at the wonderful sword fights, the torture machine in the Pit of Despair, and the chilling scenes near the end where Inigo gets his man and Westley reclaims Buttercup for his own. This movie is a genuine romantic comedy that is, well, actually funny and romantic without denigrating either. As a longtime fan of the Rob Reiner film as well as the book by William Goldman, the idea of remaking the cult classic sounds lame. And yet? And yet, it would be fun to see the story explored again with a new cast and for modern audiences. In recent years I have become a fan of Korean TV Dramas, or Kdramas, specifically the romantic comedies. I think most of the themes and characters in these melodramas fit in line with the themes of The Princess Bride, specifically that there’s nothing like good friends and that love conquers all. Being good at everything, Westley would fit right in with the “flower boys” in many dramas, as would Buttercup with her subtle snottiness and comic inability to act when the time calls for it. Romantic comedies are almost always a battle of the sexes and both Kdramas and The Princess Bride play out that battle to that bitter…er, I mean happy end…of a head-spinning kiss. Other reasons TPB would make a great Kdrama: 1. The book could get its due. As fantastic as the Reiner film is, it doesn’t plumb the depths of the satire that Goldman wrote. 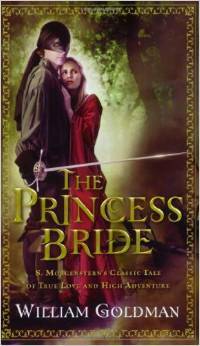 If Cary Elwes’ Westley seems arrogant in the film, he pales in comparison to the character in the book. Buttercup and the other characters are just as ridiculous, but to great effect. The trials Westley goes through are a bit more bizarre, the pit of despair, being more like consecutive circles of a hellish zoo. A 20-episode treatment could be a whole lot of fun. 2. Revenge. I still love Westley, but my favorite character is sword master Inigo Montoya. His backstory is briefly told in the movie, but the book has a lot more, like his despair at being able to find a worthy opponent. And his quest for revenge is a common tale highlighted again in many Asian movies from not only Korea, but Japan and China as well. Inigo Montoya the samurai or Korean equivalent? Yes, please. 3. Talent. Korea has hands down some of the best quality film and TV production out there. Many of their TV shows are just really long movies. Add to that the numerous talented writers, actors, and directors from all over Asia who participate in the Kdrama industry. It would be fun and exciting to see that talent showcased in a remake of an American cult classic. Hey, we remade Oldboy, so why not? If you’re a reader, like me you may keep either a written or mental list of writers, series, or books that you’d someday like to try. 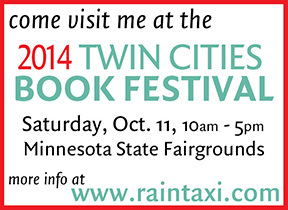 Longtime mystery author Ian Rankin has been on my list for about a year or two, now. In fact, last year, I tried one of his stories not connected to his Inspector Rebus series and for whatever reason didn’t connect with it. Rankin’s 18th novel in his Rebus series was available at my local library, and, as the mystery itself sounded intriguing, I decided to give him another shot even though I know almost nothing about the series. Almost to my surprise, I enjoyed Standing in Another Man’s Grave. Rankin slips information necessary from previous books in with newer material, and as a result, I felt like I was reading the beginning of a new Rebus series. There’s something particularly comfortable about older codgerier (okay that’s not a word) detectives. They have at their stage in life little desire to make themselves look good–their interest is the work. Rebus is pretty typical of fictional detectives these days. He’s unorthodox, doesn’t follow the rules, has several vices, and is smarter than almost everyone else in the book. Rebus is so typical I thought I would be bored by him, exasperated even, but I was not. Maybe it was the setting. Having been to Scotland, including Edinburgh and Inverness, I could picture a lot of the places and roadways, and that’s always a bit exciting as a reader. Maybe it was the fact it was a cold case. Cold cases can often be more intriguing simply because the mystery of whodunnit has lingered for so many years. (Incidentally, this is exactly why Zodiac is one of my favorite movies). Maybe it was just the fact that Rebus is older. Old detectives are pretty awesome, from Hercule Poirot to the Peculiar Crimes duo of Bryant and May. And, let’s not forget Miss Marple. 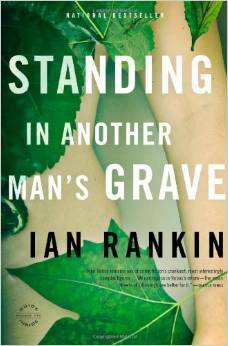 This post is a shoutout to Mr. Rankin for having a storyline and hero engaging enough that even in his eighteenth installment, Rebus delivers and makes me want to read the series from the beginning. Dorothy L. Sayers’ Lord Peter Wimsey mysteries. (Gaudy Night is the best one, but the series as a whole is outstanding and a good exploration of a upper class detective and his not so easily won lady love, Harriet Vane). Anna Dean’s Dido Kent mysteries. (Mysteries set in Jane Austen’s world that kindly don’t involve Miss Austen whatsoever). Episode one of City Hunter, the Korean TV drama based on a Japanese manga, is one of the most intriguing and exciting setups I’ve ever seen for a show. It sets the stage for political drama, a Monte Cristo-styled revenge, heroes who are loveably flawed, and a sweet romance. The basic plot of the show is this: After a botched mission into North Korea, an army general named Lee Jin Pyo (Kim Sang-Joong) is out for revenge and kidnaps his best friend’s baby to be his instrument. 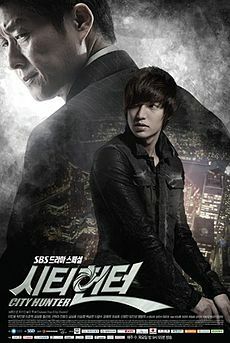 Jin Pyo is a patient man, he builds an empire and raises the boy, Lee Yoon-Sung (Lee Min-Ho), as his own for twenty-seven years, teaching him to be a ruthless killer. Despite his upbringing, Yoon-Sung is a good person and heart and loves his adopted father. He moves to Seoul, South Korea, and begins to execute Jin Pyo’s plan, taking five corrupt government officials down one by one in style. The action in City Hunter is outstanding, many of the moves unexpected, and this is where both Lee Min-Ho and his character really carry the show. Kim Sang-Joong is no slouch either as “the General” and throughout the show is the perfect antagonist to Lee’s protagonist. As much as the show is about bringing dishonest politicians (but I repeat myself) to justice, the heart of the story is the relationship between adopted father and son. City Hunter has several supporting characters, one of them being an eager government prosecutor played by Lee Joon-Hyuk, who goes from being an enemy of Yoon-Sung to a collaborator in his plan to reveal the crimes to the public. Joon-Hyuk gives an outstanding performance as does Hwang Sun-Hee who plays his character’s love interest, a gentle veterinarian. City Hunter is a bit of a Robin Hood character and Bae Man-Duk (Kim Sang-Ho) is the perfect Little John. He’s a sweet-hearted gambler with a motherly side and a dangerous addiction to the Home Shopping channel. Bae is my favorite character in the series and I don’t think he’s used enough. As with any superhero or masked man, City Hunter is not allowed to fall in love for fear that it would compromise him. Of course he begins falling in love years before his plan will even be executed. Kim Na-Na is a good foil for Lee Yoon-Sung. She never quite buys his cover story maybe because she herself has had a tough life and has had to take care of herself, sometimes lying to do so. Park Min-Young as Kim Na-Na won me over by the end of the show, but many times I thought she appeared too young and childish next to Lee Min-Ho, who, although also young carries many of his scenes in a much more mature fashion. Kim Na-Na is also the worst body guard on the planet and it strains credulity that she would have even been considered to work at the Blue House, she’s that inept. Perhaps it was a writing problem. In any case, Park Min-Young did the best she could, and again, did win me over by the end. Aside from the politicians under siege, most of the minor characters could really have been done without, including the hero’s mother, who is kept around mainly to reveal a twist at the end. The twist wasn’t really necessary from the hero’s perspective––Lee Yoon-Sung would have been conflicted either way––but it does reveal just how single-minded and tortured the General Jin Pyo is. All in all, City Hunter is a great watch, but slow in parts and could have done with more action, as that is definitely its strength. The ending is fantastic, with standout performances all around, and the resolution is left fittingly vague. The storyline raises questions about bringing officials to justice and whether their faults are totally their own or more of a symptom of a government system in which no one’s hands are clean. All of the characters, whether working in government or not are all wonderfully, humanly flawed. The hero, although mostly pure of heart, is a drug dealer’s son. He dreams of living a normal life, not of saving the world. For the General, his revenge justifies all the means he uses to meet it out. The big question is this: Is the revenge worse than the initial crime? It’s never really answered and left open to the viewer. The City Hunter does both good and harm by the end of the series. On a side note, as an American, I found it amusing that privatizing health care was posed as being such a bad thing when they clearly showed over and over again just how corrupt government was. In my experience, the more involvement government has in something, the more it costs all around. People often think of any government money as “free” and take liberties with that money that would never take if a private enterprise was running the show. This cavalier attitude is what drives prices up and up. College tuition is a prime example. Without the large cushion of government loans, colleges and universities would be forced to set tuition at a more competitive price or risk going out of business. That’s my opinion, anyway. The main point of City Hunter for me was that government needs to be held to account in every area it runs or influences. No one should be above the law, no matter how honorable their intentions may be. This is why a free press and reporters who are skeptics and not groupies of government officials are so important. The first step in stopping corruption is exposing it.